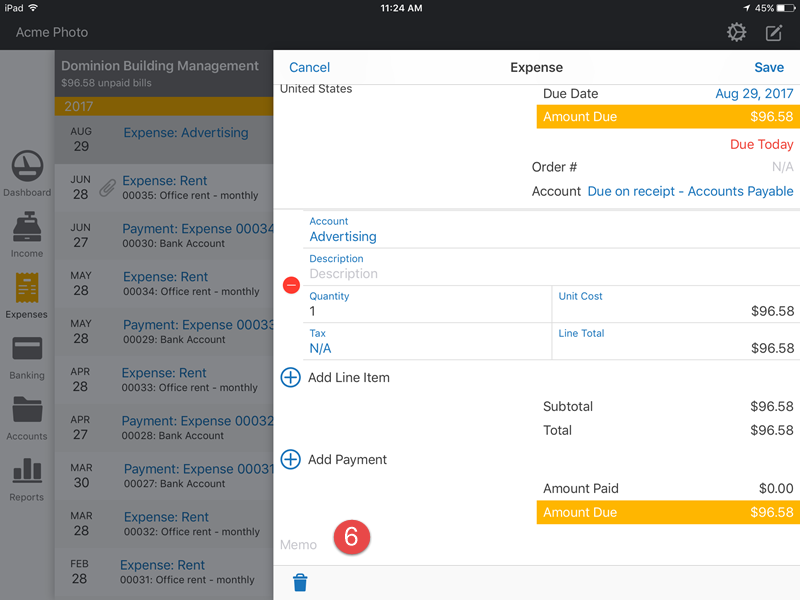 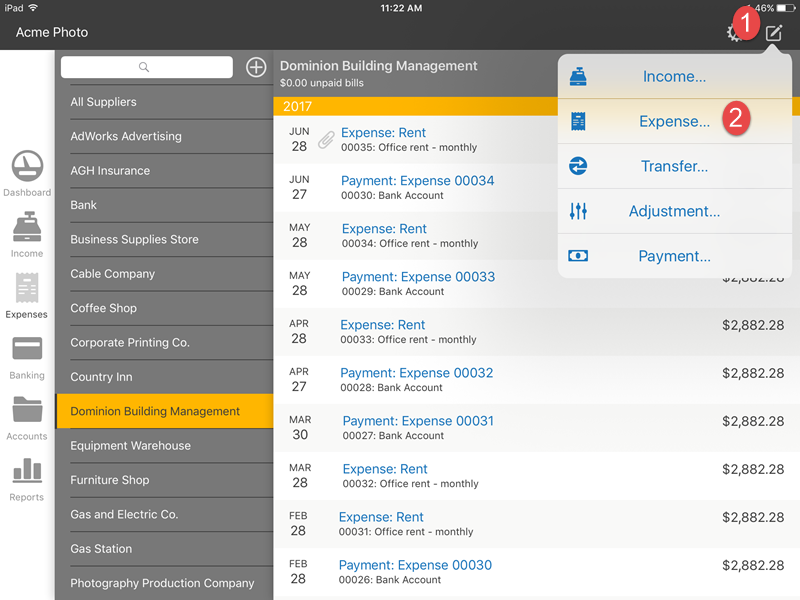 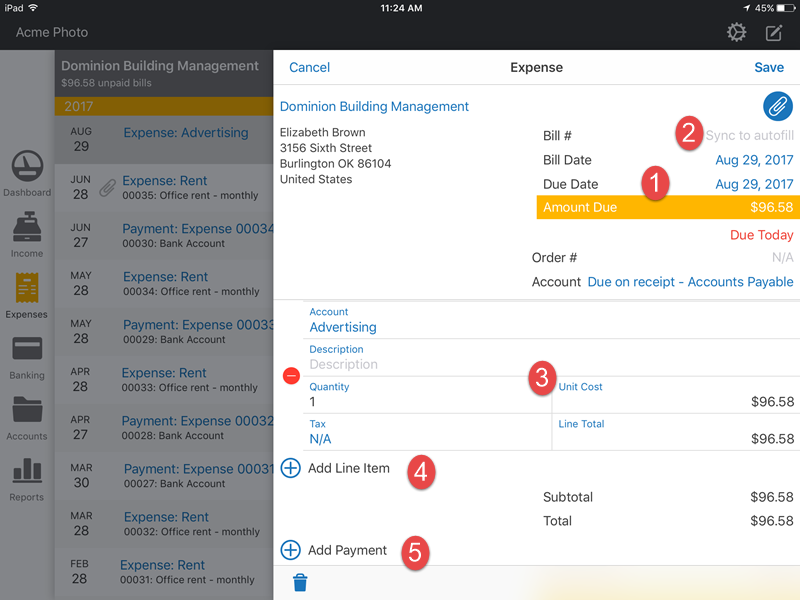 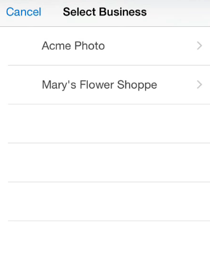 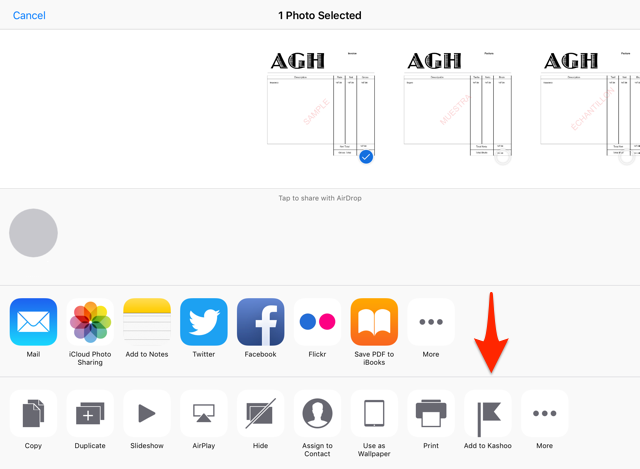 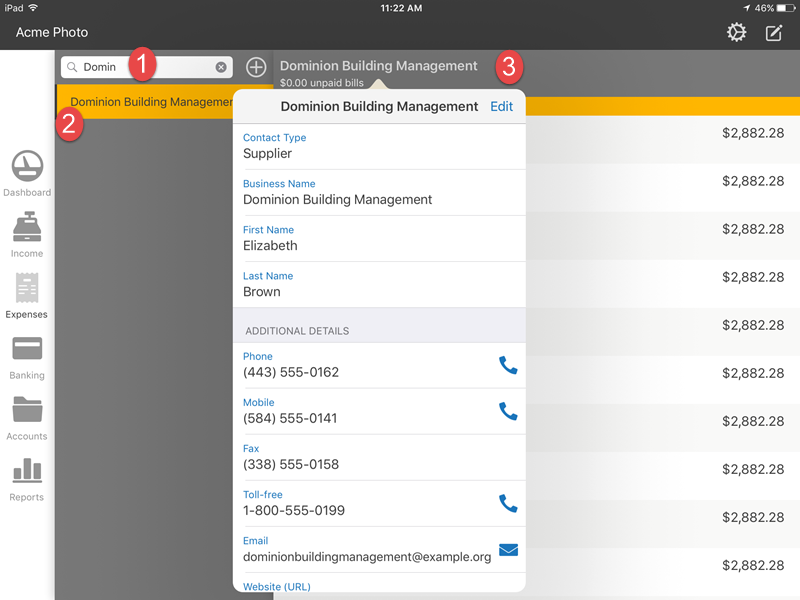 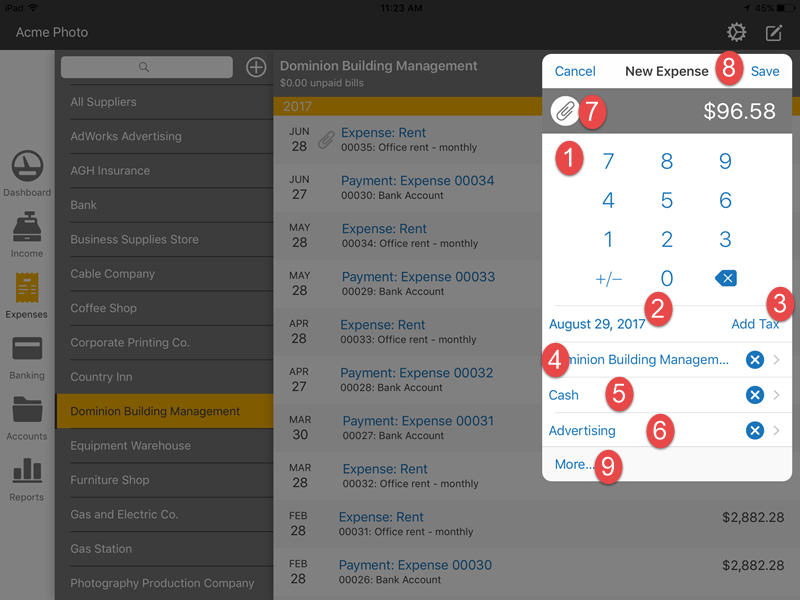 Learn how to use the Expense section, including adding or updating suppliers on the iPad app. 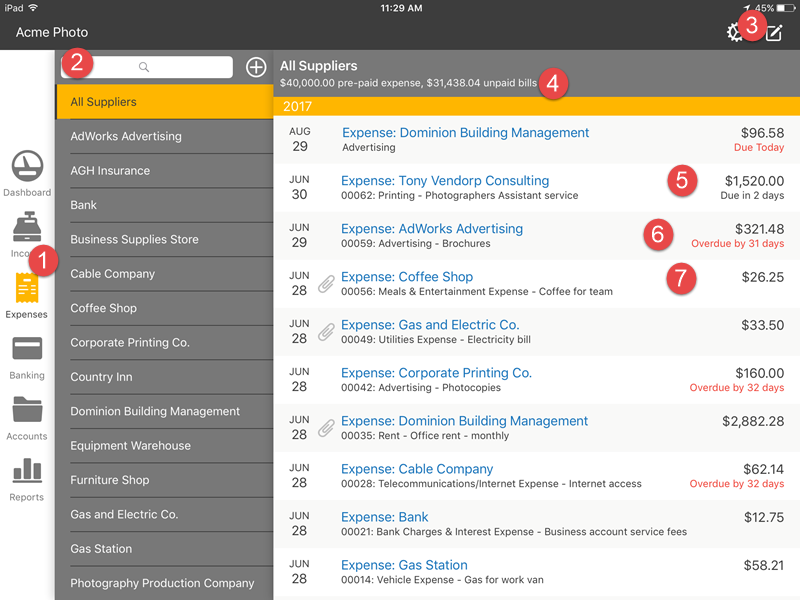 Tap on any expense to see the detailed view and edit it. 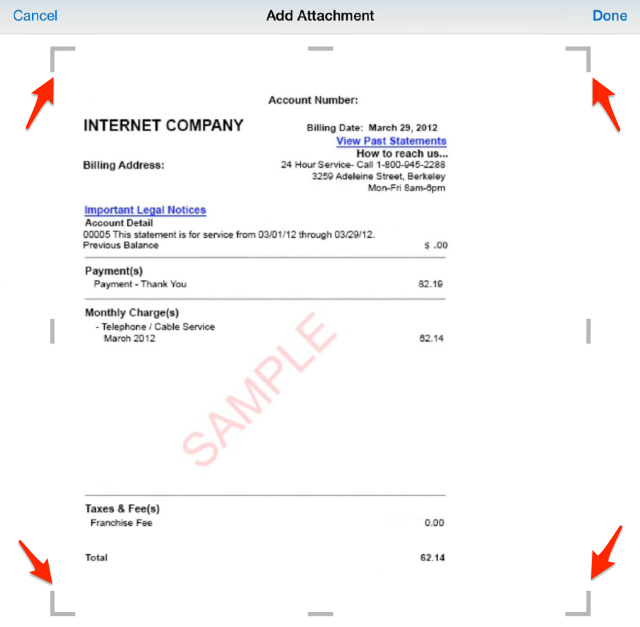 The quick entry method is great for income that you receive for which you do not need to send out invoices for.